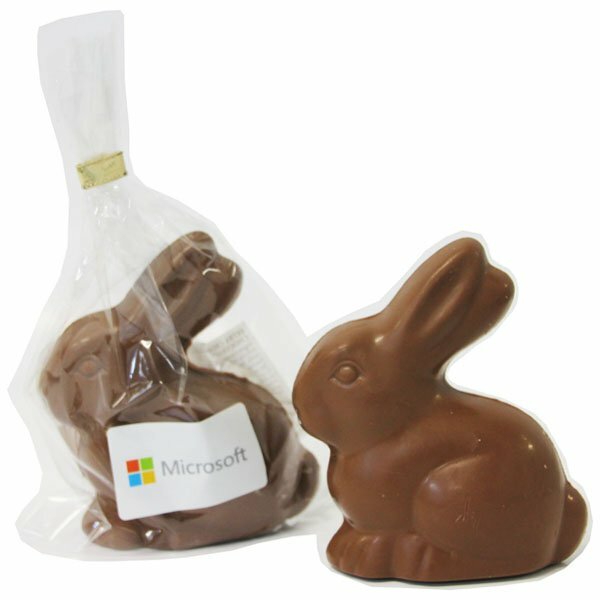 Celebrate Easter with your employees or clients by giving them the branded Milk Chocolate Bunny 80 gram bag. Celebrate Easter with your employees or clients by giving them the branded Milk Chocolate Bunny 80 gram bag. A beautiful 80 gram Milk Chocolate Bunny enclosed in a clear cello bag is the perfect Easter promotion when you’re looking to expand your brand awareness for the season. Brand the custom Milk Chocolate Bunny 80 gram bag with a full colour digitally printed sticker. Each sticker is 50mm x 30mm and can include your logo or a special message. Whether this is for your clients, suppliers, or employees, it is definitely a nice way to say thank you. 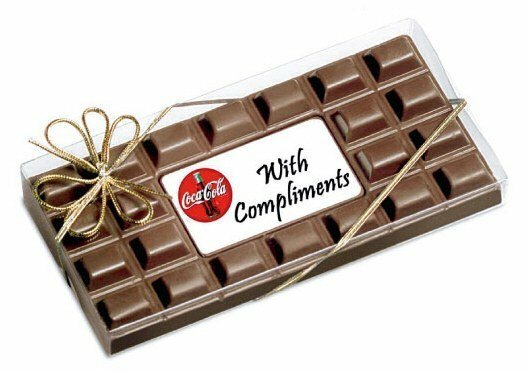 A good time to give them out would be during your corporate events. 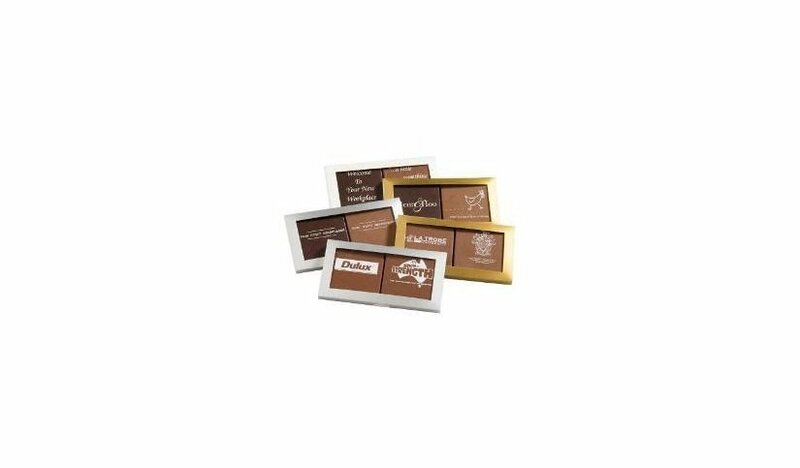 If it’s a company dinner party, you can place the branded Milk Chocolate Bunny 80 gram Bag on their respective seats with their names on the printing. This is also a great way show seat designations. Another great idea with how you can use the branded Milk Chocolate Bunny 80 gram Bag for promotions would be for trade shows. You can make this product your giveaway for people who visit your kiosks. Just make sure to print your company details so you’ll have good recall. Are you looking for an iconic Easter Gift? The Gold Lindt Bunny is such an iconic Easter treat. Take a look at the personalised Lindt Bunny 10 gram Pillow Pack or the promotional Lindt Bunny 20 gram Organza Bag. Your clients will thoroughly enjoy either of these products. Interesting fact. Did you know that 85% of people eat the ears of the bunny first? It just doesn’t make sense to eat the feet first! Incidentally, if you are also in the market place for promotional printed balloons then please also check out our Fast Balloons website too (once you’re done shopping here). You may like to initially check out our popular custom dark purple balloons. Do you want to know more about the ordering process? Call our Customer Care Team on 1300 008 300 and they can guide you through the process as well as answer any other questions you may have. Okay. we’re ready to talk all things chocolate.